Tesla doesn’t have the monopoly on electric vehicles; many large automakers have already gotten in on the electric car market, with Audi previously announcing its intention to ramp up production by releasing one EV every year starting in 2018. Last Wednesday, company CEO Rupert Stadler outlined these plans to release three electric vehicles by 2020 to managers at a closed-door conference in Munich, reports Reuters. Audi expects electric cars to make up 25% to 30% of all its annual sales by 2025, putting it in direct competition with Tesla. Based on current figures, that would equal around 450,000 cars per year. Audi’s decision to invest a third of its R&D budget into electric cars, an area that is still losing money for many vehicle manufacturers, is partly a result of the emissions-test cheating scandal that damaged the reputation of its parent company Volkswagen. The German company is also looking to challenge the likes of Tesla and Google in another area: autonomous vehicles. Audi will set up a subsidiary called SDS that will produce the firm’s first self-driving car. "This is about a robot car that may not even need a steering wheel or pedals, so it's ideal for urban traffic," Stadler said, adding that Audi was still looking for partners to help develop the technology. 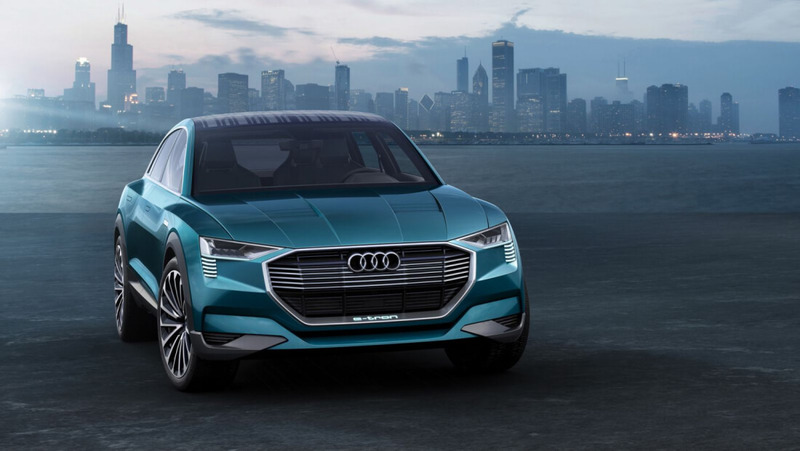 Lastly, Audi is looking at implementing fuel cell tech into its cars, but it says this is a long-term plan as the lack of charging stations won’t make these vehicles a viable option until at least 2020. Speaking about the demand for fuel cell cars, Stadler said: "That is less a question of technology, we are already quite good at that. It's rather going to be a question of infrastructure." As Audi moves more resources into these technologies, the company will “reduce complexity” in other areas.